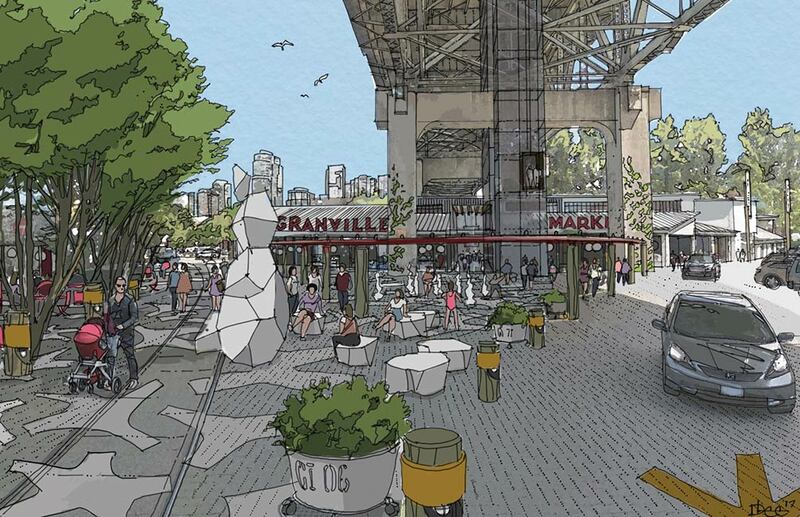 A final report outlining an ambitious vision for the future of Granville Island contains some interesting proposals, including a pedestrian elevator to the Granville Street Bridge and an expanded public market. 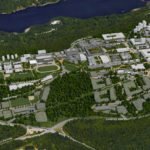 The report was commissioned by the CMHC (Canada Mortgage and Housing Corporation) to guide the next 25 years of development on the island. 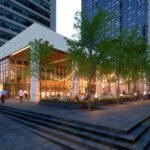 It identifies four major strategies: improving access; expanding the public market and creating a market district; embracing arts and innovation and restoring and sustaining the public realm. 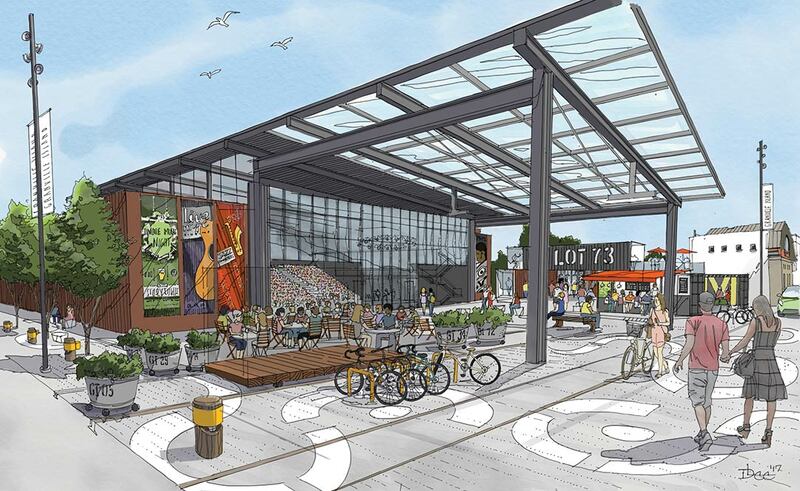 A concept drawing showing an expanded public market on Granville Island. A concept drawing of a new central plaza, with access to the pedestrian elevator. 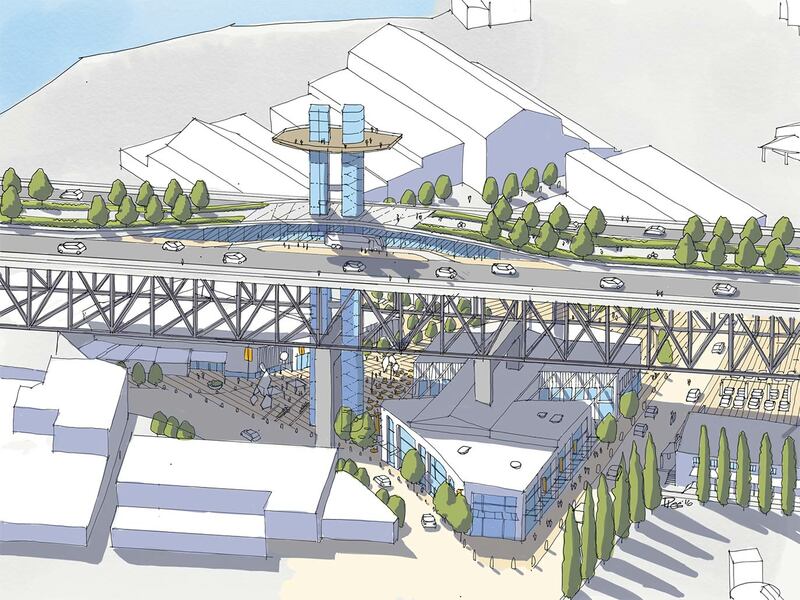 The proposed Granville Street Bridge Elevator is one of the most dramatic aspects of the vision. A concept drawing showing a proposed elevator and staircase that would allow pedestrians to access the island from a pedestrian walkway down the centre of the bridge. A lookout tower is also proposed. Currently, the island is poorly served by transit, with just one bus route serving Granville Island. However, the Granville Street Bridge has a high frequency of bus service, with a city bus passing by every two minutes. The elevator would connect the island with this robust transit service across the bridge. 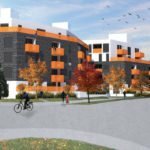 The bus stop on the bridge would be part of a future elevated cyclist and pedestrian greenway already proposed by the city as part of the Vancouver House condo project, which is currently under construction. The report envisions the elevator and viewing platform as a tourist attraction. 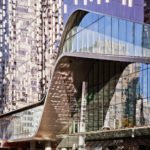 “The elevator is conceived as a Vancouver icon – linking a rebuilt ground level public space with a future bus stop and greenway on the bridge above. Design concepts could also include a tower feature that would offer a spectacular viewing platform above the bridge. 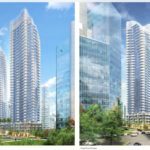 This additional attraction would draw new visitors to the city and Granville Island,” reads the report. 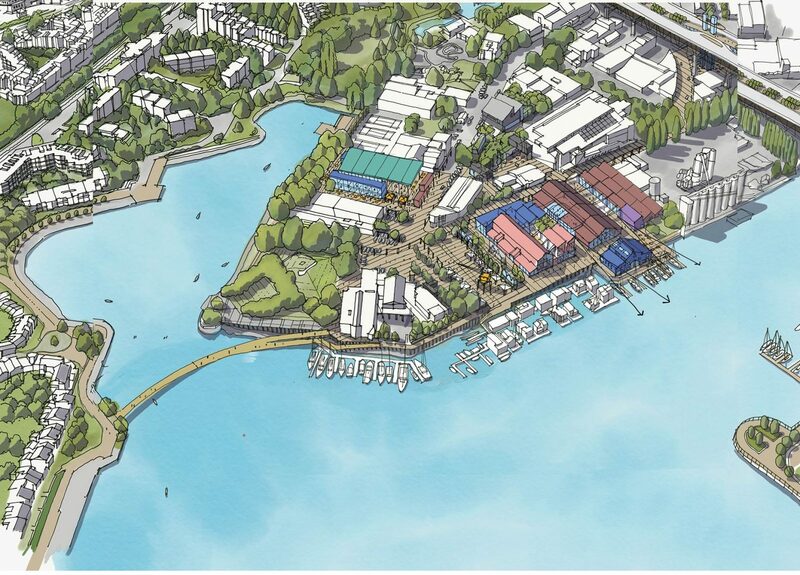 Concept drawing showing a new pedestrian cycle bridge across Alder Bay. Concept drawing showing a new multipurpose performance space. 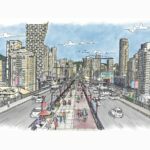 Vehicle traffic and parking, which occupies over a quarter of current land use, is singled out as a major issue facing Granville Island. 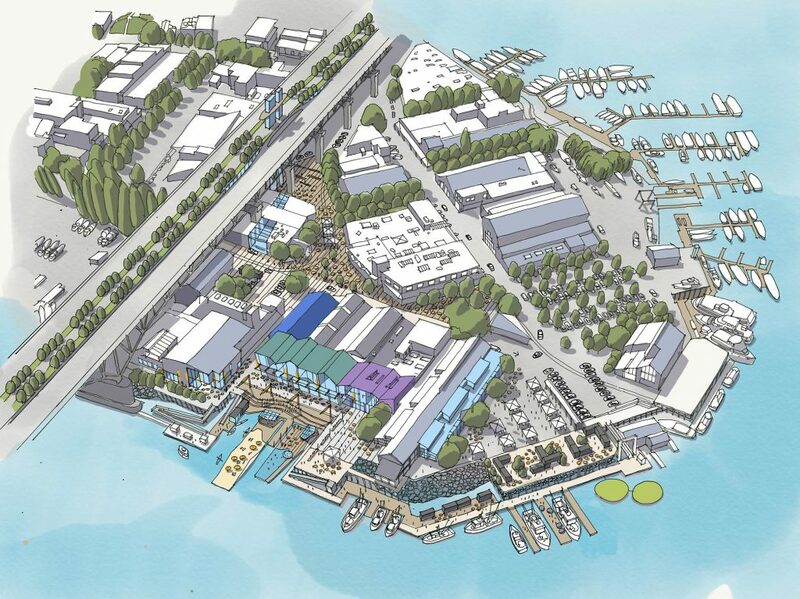 Other ideas proposed in the report include appointing a “Nightlife Mayor” to encourage activity on the island beyond daylight hours, as well as the creation of a new Central Plaza area at the entrance of the island, with a landing area for the proposed pedestrian elevator.